We empower children and their communities to move out of extreme poverty into livelihoods that help them improve food security, health, education, the environment, and the local economy. 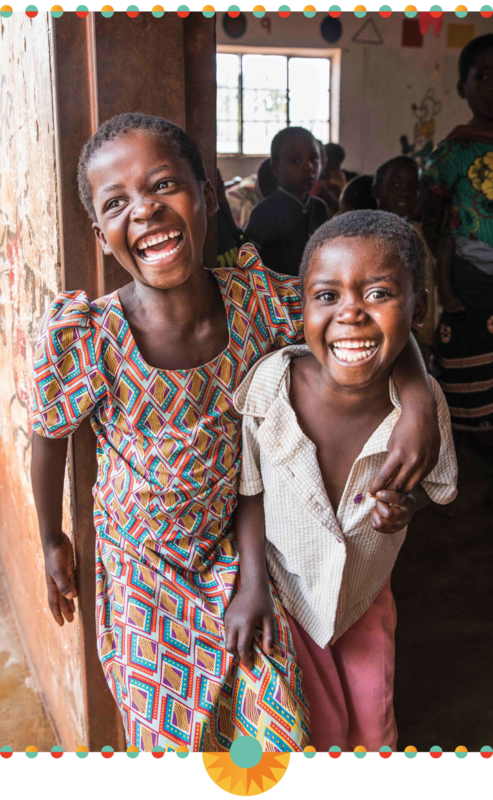 To ensure we are reaching Malawi's most vulnerable children, our Childhoods & Livelihoods Program focuses on childhood wellbeing, sustainable businesses, and financial management at both the community and household levels. At the community level, we partner with local Community Based Organizations to uplift efforts and provide sustainable resources that address children’s immediate needs. At the household level, we empower caregivers to build long-term solutions that help break the cycle of poverty, have a ripple effect in the community, and ultimately ensure the next generation does not face the same challenges. We work hand-in-hand with our communities to provide individualized coaching and services that improve children’s access to healthy food, a quality education, crucial healthcare, protection services, and a resilient environment. We partner with community leaders to identify common challenges facing children in the community. Using this input, we enroll vulnerable households and Community Based Organizations into our Childhoods & Livelihoods program. Our team works with caregivers in the community to develop individualized action plans, to establish peer-to-peer coaching sessions, and to provide community links to services for food security, health, education, protection, and environment. Children receive improved care and have the community safety nets they need to grow into happy, healthy adults. We provide caregivers the assets and training they need to launch successful businesses that generate ongoing profits to be spent on children. Across Lilongwe District, we have launched 8 community-level and 400 household-level businesses. These poultry farms, beekeeping hives, and soybean and peanut farms are now helping caregivers address the needs facing Malawi’s most vulnerable children. Our team of experts conduct extensive community meetings and market research to determine which level and type of business is most appropriate for a given community. We provide caregivers assets and technical training on how to launch and maintain their businesses. Our team organizes new entrepreneurs into peer support groups, and they elect a lead business mentor. This mentor serves as a liaison with our team, and helps us conduct ongoing individual and peer-to-peer training sessions. We develop a system of support and safety nets, including a revolving fund for future business growth and a team of on-staff, NGO, government, and private sector experts that help troubleshoot challenges, encourage best practices, and increase profitability. Our staff works with teams of at-risk youth to train them how to be entrepreneurs, while simultaneously developing local markets and guaranteed buyers for crops and products. Businesses become successful and sustainable, giving caregivers the resources they need to provide for their children. Using ongoing coaching and links to existing services, we provide financial management training around budgeting, saving, and smart investments, so caregivers can best use their profits to provide for their children in the short- and long-terms. Our team works with caregivers to develop individualized plans, to establish peer-to-peer coaching sessions, and to provide links to services like Village Savings and Loans. Our team organizes caregivers into peer support groups, and they elect a lead finance mentor. This mentor serves as a liaison with our team, and helps us conduct ongoing individual and peer-to-peer training sessions. We provide ongoing support and education, so caregivers are empowered to stabilize their finances and invest in their children. Hear stories from the field, information about upcoming events, and more! Special thanks to our photographers, Billy Farrell of BFA, Cameron Mulleaneaux, and Jonathan Wallen. Thanks to our filmmakers, Ashley Gutierrez and Jacob Watson at Cliff Co. and Cameron Mulleaneax. Sincere thanks to our graphic designer Erin Rommel at Second Marriage.